Adopt-A-Family is thrilled to be participating in Great Give 2018! Great Give Palm Beach & Martin Counties is a 24-hour online giving event led by United Way of Palm Beach County, Achieve, Nonprofits First, and United Way of Martin County designed to raise as much money as possible for local nonprofits in a single day, held on 4/24, this year! This exciting community-wide event celebrates the spirit of giving and the collective effort it takes to strengthen our local nonprofits and better serve residents in need – from children and seniors to the environment and animals! Why is it GREAT for our community? Inspires as many people as possible to give. Enriches our community’s spirit of giving. Promotes and supports our local nonprofits. Raises millions of dollars for community good. Better serves our residents in need. Only possible by online donations, you can find Adopt-A-Family’s special campaign for Great Give by checking out our giving page! 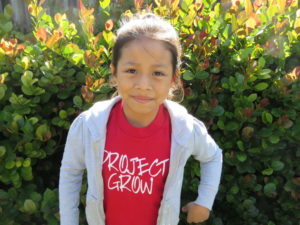 It has information, interesting facts and an incredible Success Story about a brave, young girl in our Project Grow program. This unique giving page is also where you will go on the day of the county-wide event to give your donations! Please consider joining us on this exciting day of giving back to our community in a fun, supportive and exciting way! Keep an eye out on our social media pages for daily updates on our campaign. And don’t forget to tag us on your pages if you commit to giving and/or give to our campaign on the day of! Let’s come together to impact our community in a positive way! 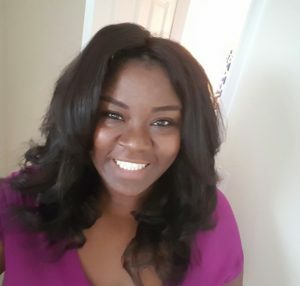 We recently caught up with Celine J., an Adopt-A-Family success story from the Senator Philip D. Lewis Center and Program REACH. Celine, can you share a bit about what caused you to fall on difficult times? After my partner and I separated, things began to fall apart. Going from a two-income household to just me, was life-altering and scary for me and my children. My rent was over $1,400, I had a car payment, and all my other bills were simply too much for me to stay on my feet. I was working a pretty good job but it wasn’t enough to sustain my expenses. We ended up homeless and lost nearly everything. My car was repossessed and on top of it all, I found out I was pregnant only a month later. My pregnancy was very rough and I was put on bed-rest for the majority of it. This inevitably caused me to lose my job. Everything in my life was coming undone. It was then I found out about Adopt-A-Family’s Lewis Center office. The team helped me right away (the same day of my appointment). My caseworker told me she wouldn’t let my precious children and I spend another night not knowing where we’d stay. The team worked fast to ensure I’d have a roof over my head. After staying several nights in a hotel, I was referred to Program REACH, an emergency shelter for families experiencing homelessness. Everything began turning for the better. How did participating in the program change your life? The kids (I have 10-year old twins and a healthy 5-month old baby girl) loved it here. In addition to my case manager helping me find a new job, we were introduced to a number of community resources: I learned budgeting skills, developed a savings plan, and worked with a housing specialist toward finding affordable housing that fell within my existing budget. In a matter of weeks, my housing specialist found a beautiful (and most importantly, affordable) home to call my own. With my newly acquired budgeting skills and savings plan, I was able purchase a reliable used vehicle without the need of a car loan. Going to and from work will now be easier than ever without the need to rely on public transportation. What will you remember most about your time at Adopt-A-Family? Sometimes people fall flat on their faces and just may need a second chance. I needed Adopt-A-Family to help rebuild my life. I was pushed to work hard all while being treated with compassion, kindness, respect, and a family spirit. I’ll never forget my family at Adopt-A-Family. And, neither will my children. *Celine’s name was changed for privacy purposes. Our #GiveAAF17 mission statement: A stable home creates opportunities for our families. We cannot change lives without you. When you give to Adopt-A-Family for this year’s Great Give, you are creating the opportunity for our children and families to grow. 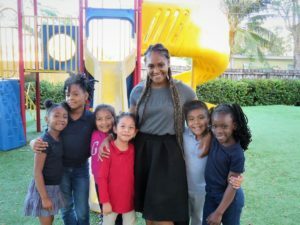 For part three of our Great Give program feature series, we caught up with Director of Homeless Prevention Services, Shayene Weatherspoon, to learn more about Adopt-A-Family’s self-sufficiency programs. What are some of the common barriers faced by families you serve? 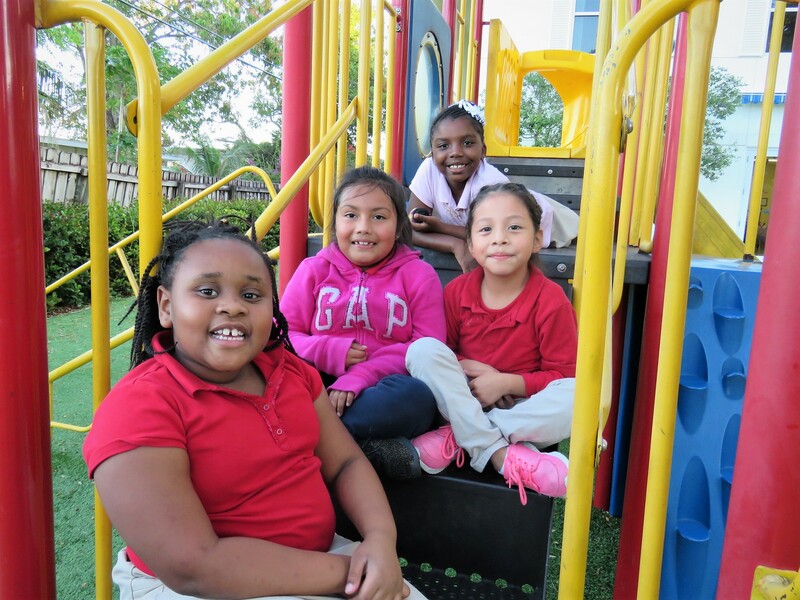 Our families face a number of barriers—one of the largest being the lack of affordable housing in Palm Beach County. Even for families who work full-time, it is still a struggle to pay rent due to how expensive housing costs are in the community. Another barrier our families face is a lack of employer benefits such as paid time off for sick days. Sometimes a minor crisis like a child being sick is all it takes for a family to end up on the brink of homelessness. What are some relevant and interesting success stories that stand out from your programs? One family that we served recently immediately popped into my mind. A single mom who was working full-time and taking care of her son contacted our agency in desperation. A few weeks ago she was at work when she received a frantic call from day care informing her that her toddler had stopped breathing and an ambulance was on its way to take him to the hospital. Her son ended up spending more than two weeks in the hospital, forcing this loving and concerned mom to miss a great deal of work. She exhausted her paid leave and was forced to use a great deal of unpaid leave as well. This led to the family falling significantly behind on rent and being faced with eviction. She turned to Adopt-A-Family with an eviction notice from the court. 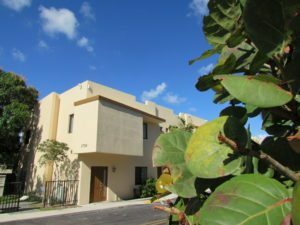 The Housing Stabilization Program was able to intervene, immediately stopping the eviction and bringing the family current on rent and utilities. We also provided resources to help the mom navigate her expenses and learn about budgeting and savings. What is one thing that comes to mind that you’d like to tell the community about vulnerable PBC families that your program serves? One thing I’d really like to message to the community about the families that we serve in HSP and SEH is that these are families that are working, doing their best to care for their children, and trying their hardest to maintain their income and expenses. These families are living day-to-day life when an unexpected crisis happens – a crisis that could befall any of us. It could be a medical issue, a job downsizing, a fire…Any number of circumstances can leave at family at risk of becoming homelessness. There is not one type of homeless or at-risk family. What are some key goals for families who participate in Adopt-A-Family’s self-sufficiency and prevention programming? One of the most important goals in our prevention programs is financial stability. For each family that looks a little bit different. Primarily, we are working on helping families budget. We want families to ensure they are developing savings skills that will help to serve as a safety net for future emergencies and allow the family to plan for the future. One of the key objectives in our Service Enriched Housing program is to harness these skills so that families can eventually become homeowners. Additionally, it’s important that we link families to resources in the community to ensure they have all the tools they need to remain stably housed. 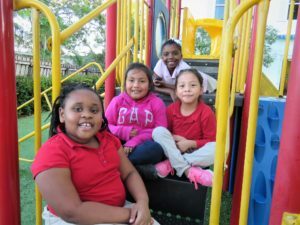 Why are the self-sufficiency and prevention programs important in Palm Beach County? 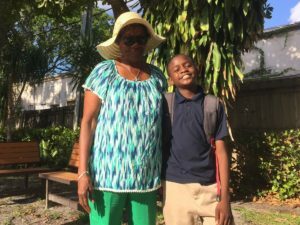 The work that Adopt-A-Family does to prevent homelessness in Palm Beach County is important. Without it, many people, people like you and I, would enter the homeless shelter system. It’s amazing to be in a position to keep that from happening. Why is it important to support Adopt-A-Family? If I could say one thing to the community about why it’s important to support our work, I’d like to say that we cannot do the work that we do without you. Our work to help homeless families, to help families at risk of becoming homeless, and to help kids that have been through trauma, would not be possible without support from the community. Greg H. and his daughter, a recent Adopt-A-Family HSP success story. 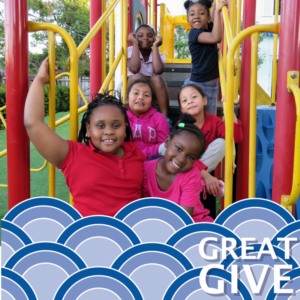 Our 2017 Great Give mission statement: When you give with your heart during this year’s Great Give, our families and children will thrive. We can only impact the lives of families with you. Create the opportunity for our families and children to grow. #GiveAAF17 during the Great Give. To stay up-to-date with the latest AAF Great Give news, follow AAF on Facebook, Twitter, and Instagram. To help spread the word about our work, please click to share on Facebook or Twitter below! The first time Greg H. heard about Adopt-A-Family, his life was in crisis. He was served with a 3-day notice of eviction and knew of no other steps to avoid the inevitable, #homelessness. Gregory, a loving single father, also highlighted Adopt-A-Family’s counseling services as being vital to behavior changes in his daughter after receiving support. We then asked Greg what his future looks like after receiving Adopt-A-Family’s helping hand. When you #GiveAAF17 for this year’s Great Give, our families and children grow.